Whether you are a total beginner, or you need to refresh your skills, this skiing lesson is for you. We will start right from our office in Ylläsjärvi village where the well-maintained ski trail pass by. 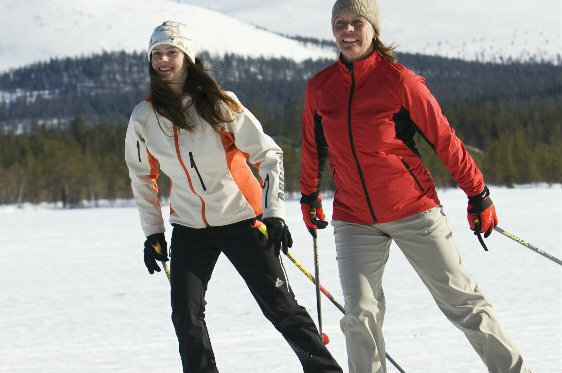 Our guide will teach you the movement for skiing classic style and can also give you tips if you want to go skating style. During the session, we will stop for a hot drink and biscuits before putting back the skis and slide towards the village with style! Our track is illuminated from 6am until 10pm, so after this lesson you will have all the time you need to practice on your own during your holidays.